UPDATE - Breaking News (3/20) - US House of Representatives officially recognises ISIS is committing "genocide". US Foreign Secretary, John Kerry, has also affirmed this. UPDATE - Breaking News (1/28) - The Council of Europe’s Assembly recognizes that ISIS committed “genocide” under international law as does the European Parliament. We must now demand official recognition and condemnation by the institutions of the EU and the United Nations of the genocide that is currently being perpetrated by the Islamic State against Christians and other minorities in the Middle East. In the territories occupied by the so-called Islamic State, thousands of Christians and other minorities have been murdered and hundreds of thousands have been forced to flee from their homes, even from their own countries. 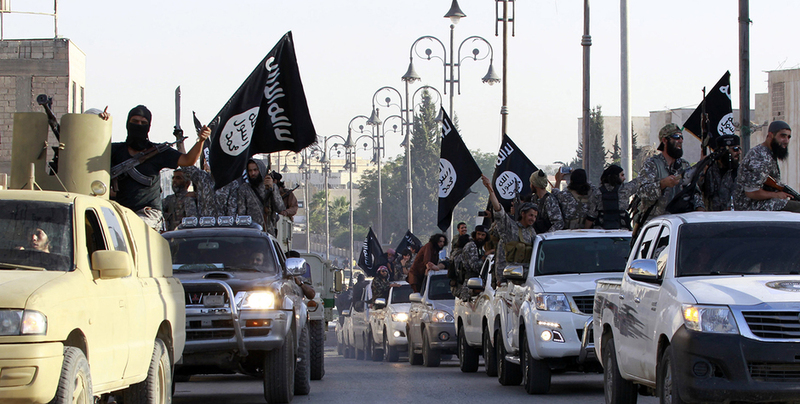 The militants of the “Islamic State” have committed and continue to commit atrocities against civilian populations. They are destroying Christian communities and heritage in the very birthplace of Christianity! And, it is not just Christians they persecute but other communities as well, in particular the Yezidis. Twenty years ago, Christians represented 20% of the Iraqi population. Since then, most of them have been chased away by the attacks. There are simply no Christians left in Mosul, and, for many years, the few remaining Christians in the country have become subject to frequent murderous assaults. Do not be an accomplice to these atrocities by silence and inaction. We must demand official recognition and condemnation by the institutions of the EU and the United Nations of the genocide that is currently being perpetrated by the Islamic State. By signing this petition, your message will reach the leaders and spokesmen of different political groups in the United Nations. The “Crime of Genocide” has a precise definition in international law. It concerns crimes “committed with intent to destroy, in whole or in part, a national, ethnic, racial or religious group”. The specific intention of entirely or partially destroying a mentioned group distinguishes genocide from a "crime against humanity". According to International law, it is not only those who have directly taken part in genocide that are criminally liable, but also the “conspiracy to commit genocide, the direct and public incitement to commit genocide and the complicity in genocide” are also liable. Thus, any individual, organization or state, wherever they might be –including Europe- should be criminally prosecuted for genocide as soon as they publically encourage this crimes or are accomplices to it. (Convention of 1948 on the Prevention and Punishment of the Crime of Genocide, and the Rome Statute of the International Criminal Court). The recognition of a genocide imposes on the States and the International community an obligation to act - an obligation to prevent genocide as far as possible, to defend attacked communities and to judge and punish those responsible in front of national and international courts. The recognition of genocide is, therefore, a fundamental step in ensuring that the international community acts. Some Governments and Parliaments, such as Lithuania's, have already recognized this genocide, and the time has come for the institutions of the EU and the United Nations to do the same. A genocide is happening as the whole world watches: how can we remain silent? The European Parliament voted on this topic on 3rd February, 2016 - specifically, a Draft Resolution called "Systematic massacre of religious minorities by the “Islamic State". On a recent debate over this text, the High Representative of the European Union, Fréderica Mogherini, recently refused to use the term of Genocide. Ask the MEPs to have the courage to recognize this masacre as Genocide for the next vote! The European Council for Human Rights met in March. We should demand official recognition of the the killing of Christian and other ethnic minority groups, as genocide. The ECLJ (European Center for Law and Justice) - A non-governmental organization, holding special Consultative Status at the UN, will act positively on this matter in front of competent international bodies and diplomatic missions. Radio Shows available in French only.